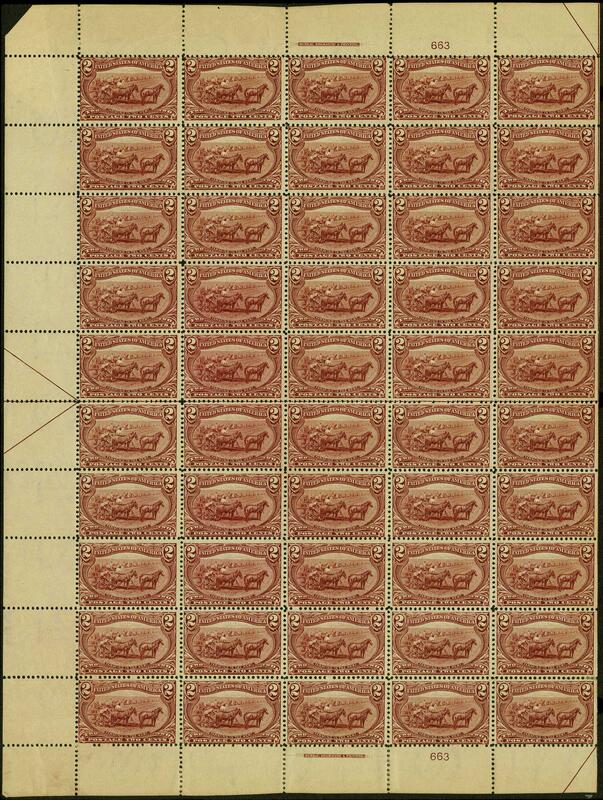 286, 1898 2c Trans-Mississippi left pane of 50 with imprint and plate no 663 top and bottom, fresh color and typical centering, o.g., stuck down to black backing, small margin tear, overall Fine appearance with middle of sheet being F-VF. (Scott $1,990 as two plate blocks of six plus 44 singles with o.g. ).